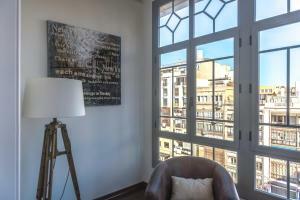 Central Barcelona and Paseo de Gràcia Boulevard, with its chic boutiques and Gaudì’s buildings, can be reached in 15 minutes on foot. 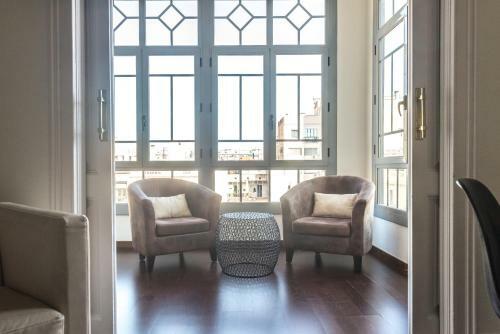 This penthouse with a small balcony apartment has air conditioning, heating, and free Wi-Fi. The living room includes a flat-screen TV with satellite channels, sofas, and a chill-out area by the window. 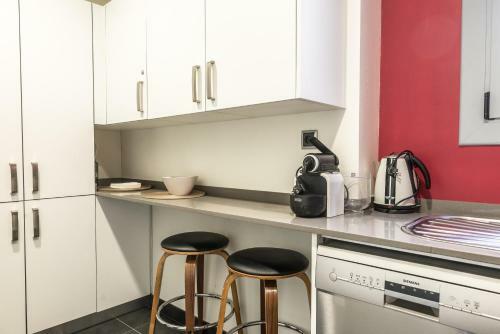 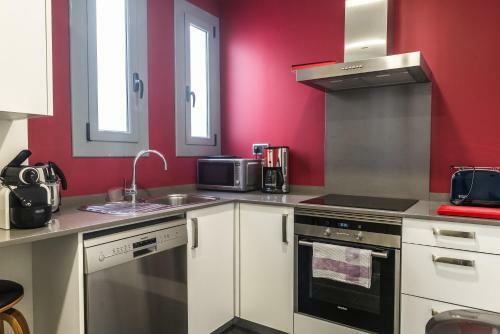 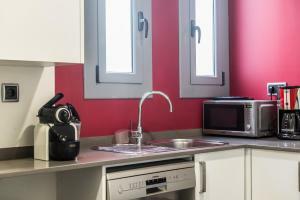 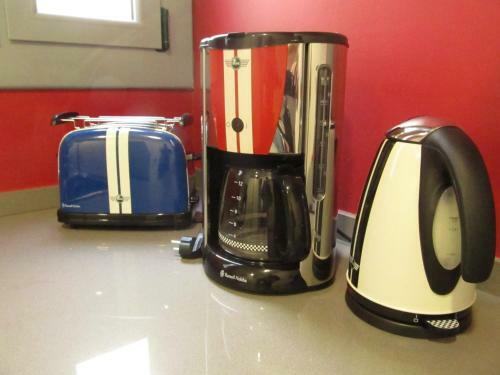 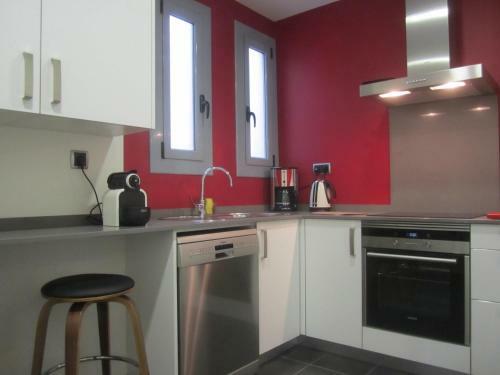 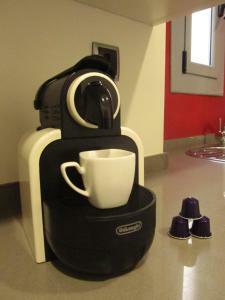 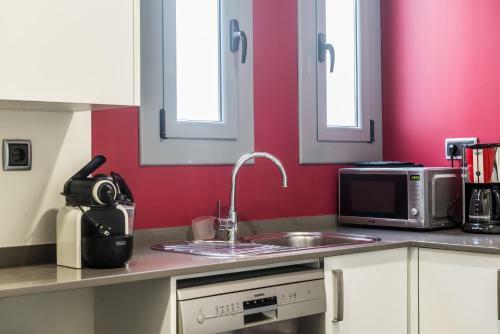 There is also a kitchen, complete with an oven, dishwasher, and Nespresso machine. 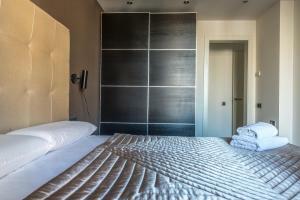 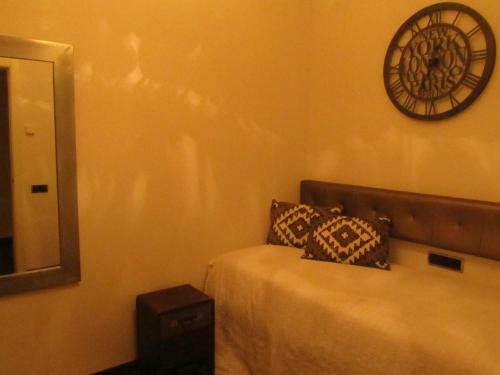 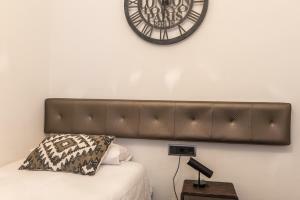 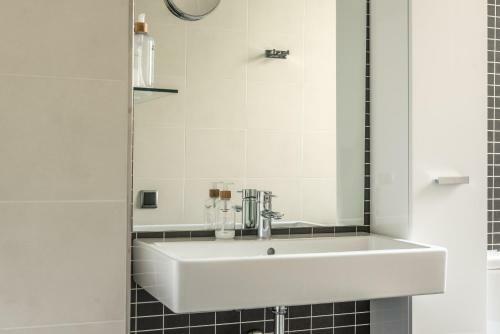 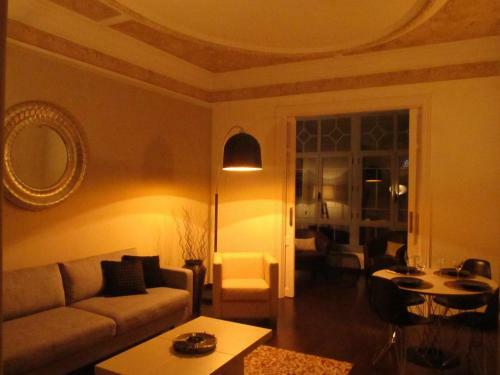 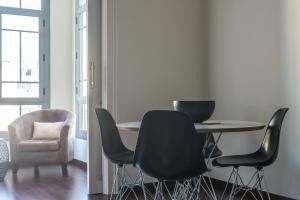 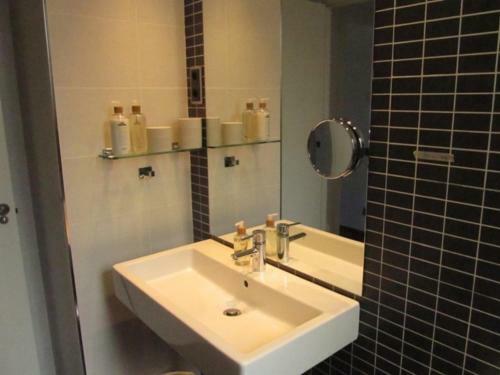 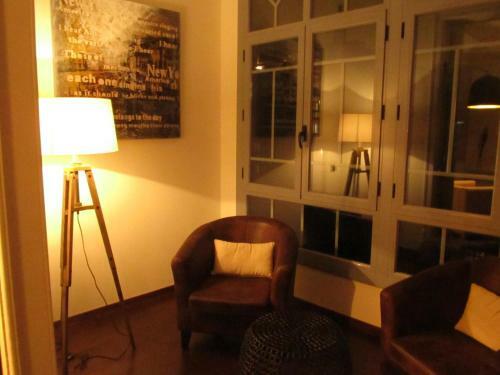 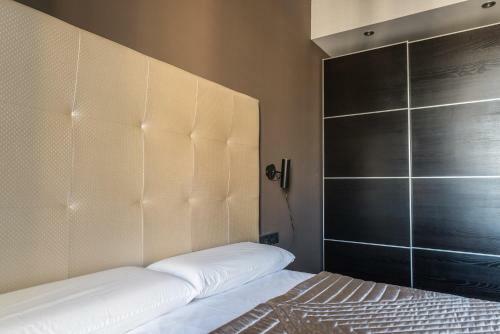 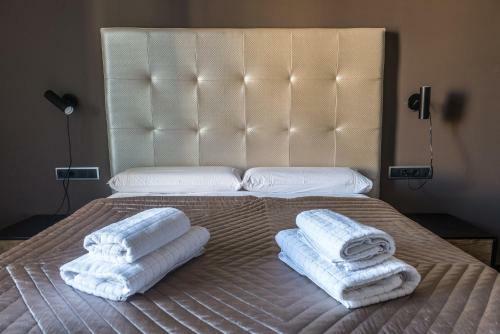 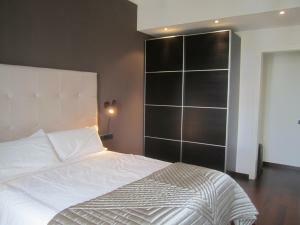 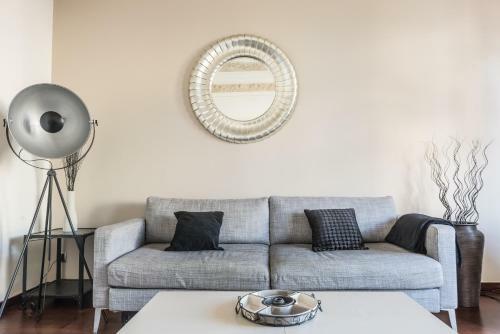 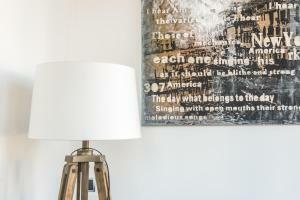 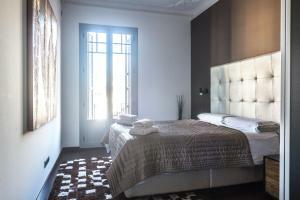 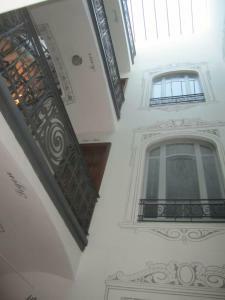 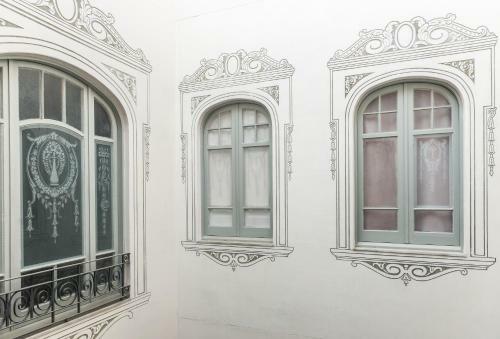 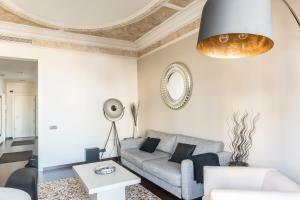 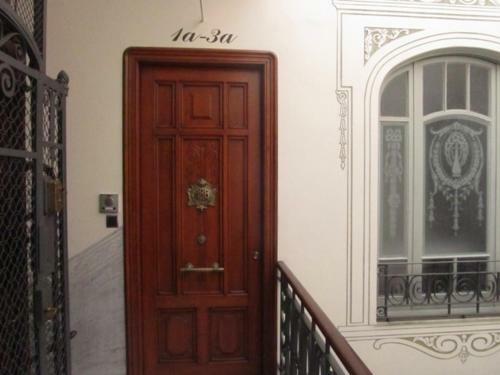 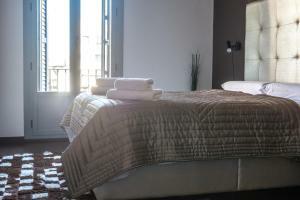 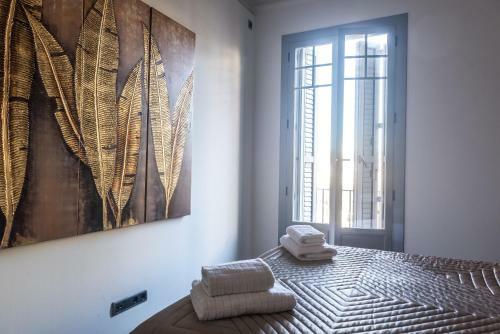 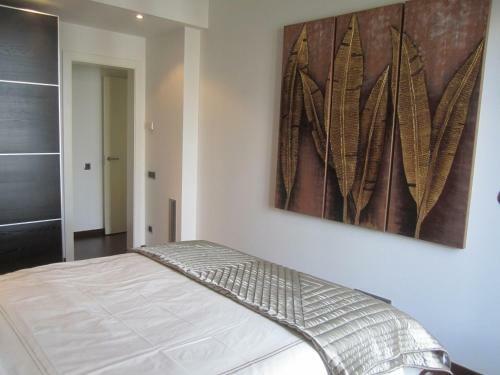 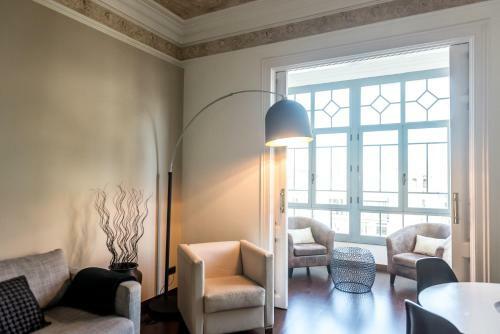 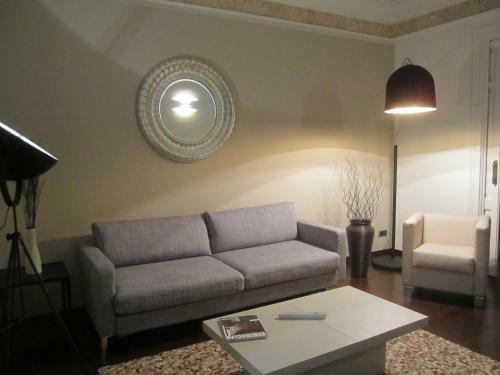 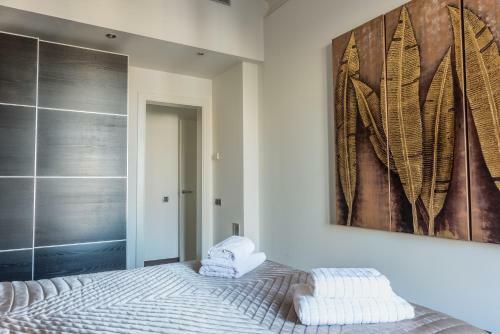 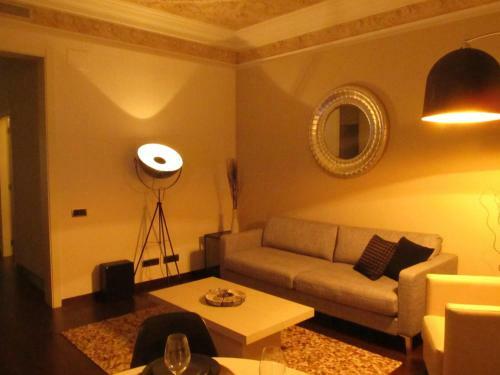 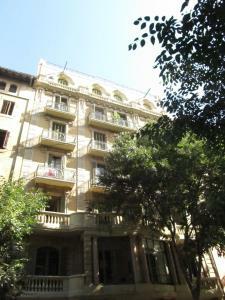 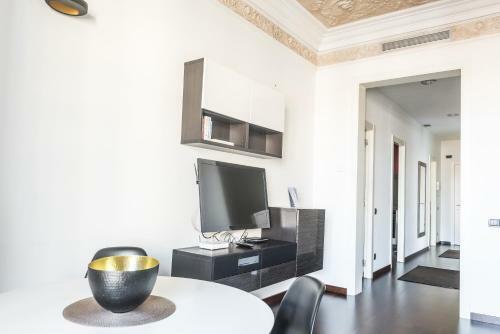 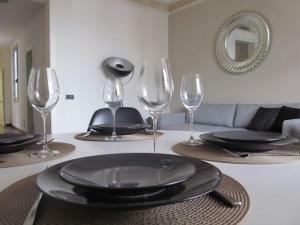 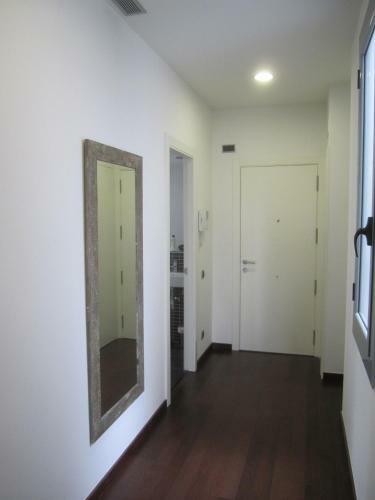 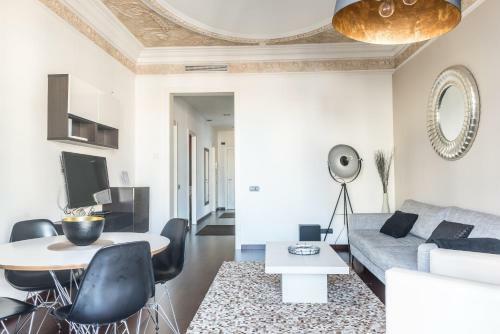 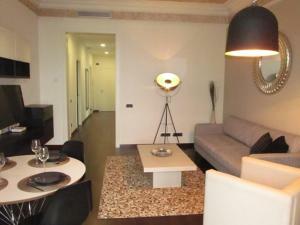 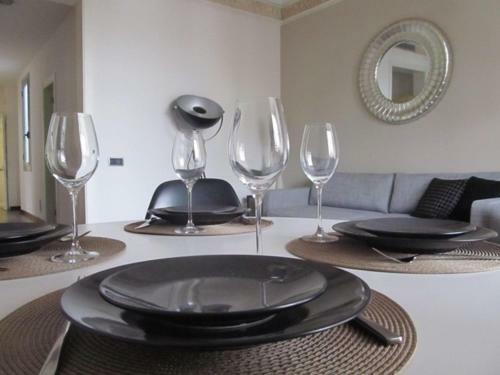 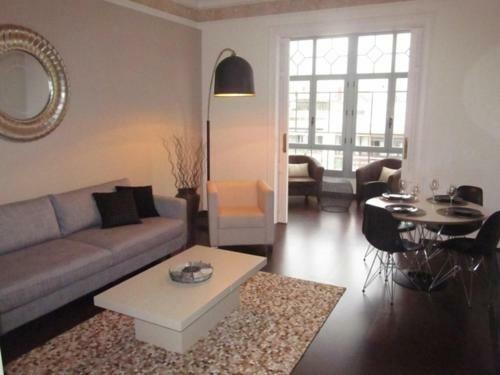 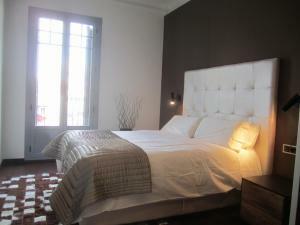 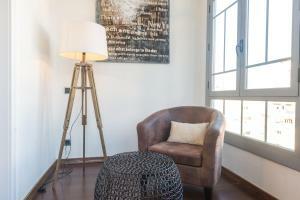 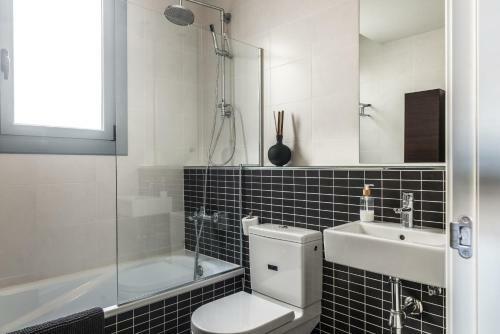 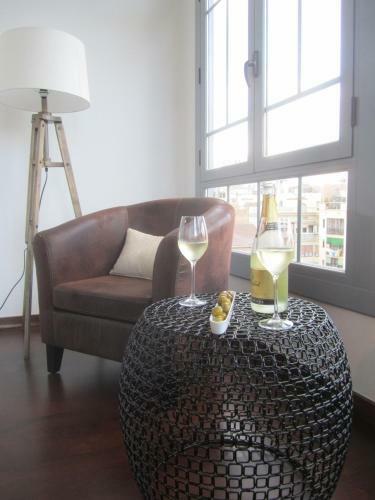 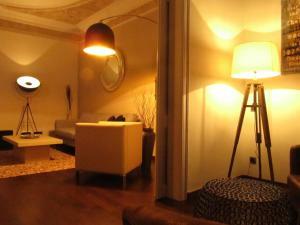 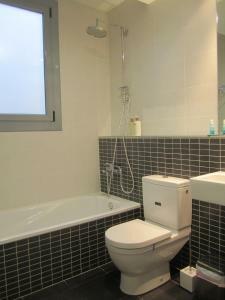 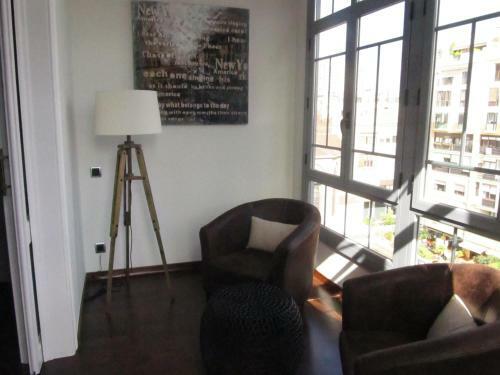 This elegant apartment has 1 twin and 1 double bedroom, as well as 2 bathrooms with a bathtub. 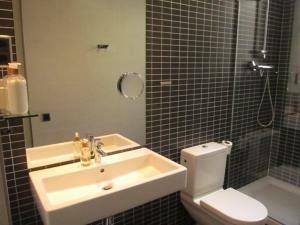 Hairdryer, free toiletries, towels, and bed linen are provided.